Lent Madness regulars will know that the Saintly Smackdown is sponsored by Forward Movement. Since 1935, Forward Movement has been inspiring disciples and empowering evangelists through print publications, conferences, and now digital resources. If you’re an Episcopalian, you’ve probably heard of Forward Day by Day, our flagship daily devotional read in print by over 500,000 people each day around the globe. If you’re not an Episcopalian, you’ll still find lots of what Forward Movement does of great use, including resources to encourage scripture engagement (you know…Bible reading) and daily prayer (talking to Jesus about why your saint isn’t in the next round, etc.). While Tim and Scott are constantly hawking wares from the Lentorium, we’re glad that Lent Madness is free—just like grace—for anyone who wants to play. It’s part of Forward Movement’s ministry and mission to find new and innovative – and sometimes fun! – ways to draw people into a transformed life as a follower of Jesus. Continuing to offer Lent Madness—and a vast array of formation and meditation resources free of charge is paramount to us. And you can help us do that. The Rev. 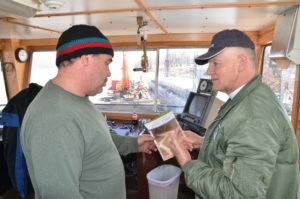 Kempton Baldridge distributes Forward Day by Day on a river towboat crew. Photo: Gregory Thorp. Every year, Forward Movement gifts more than 100,000 items of literature to prisoners, hospital patients, nursing home residents, and military personnel—free of charge. Thanks to support from a grant from the Constable Fund of the Episcopal Church, Forward Movement is able to offer excellent Christian formation materials to congregations free of charge, though even this effort involved a considerable investment—stuff’s gotta get written, edited, proofed, printed, shipped, and arrive in your hands to be actual stuff. Resources in Spanish for growing Latino/Hispanic communities take some time to become self-sustaining, so these resources require donor support to help get them off the ground and into hands and hearts. 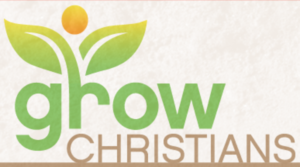 Our latest free offering is Grow Christians, a community of disciples practicing faith at home. If you love Lent Madness—and we’ve heard from so many that you do—we hope you will consider making a generous gift to Forward Movement. Offer it in honor of your favorite saint if you like. If you want our church to be enriched by low-cost or free resources, please consider making a generous gift. Every gift given to the glory of God and for the support of all the saints, known and unknown, helps more than we could ask or imagine. You can make your gift online or by phone (during business hours, 800-543-1813). Thank you for playing, and thank you for your support.